When the elegance and the refined style of the bride get together with an exclusive venue, a bohemian touch and the sound of the flamenco guitar, the result is a unique, special and emotional wedding. 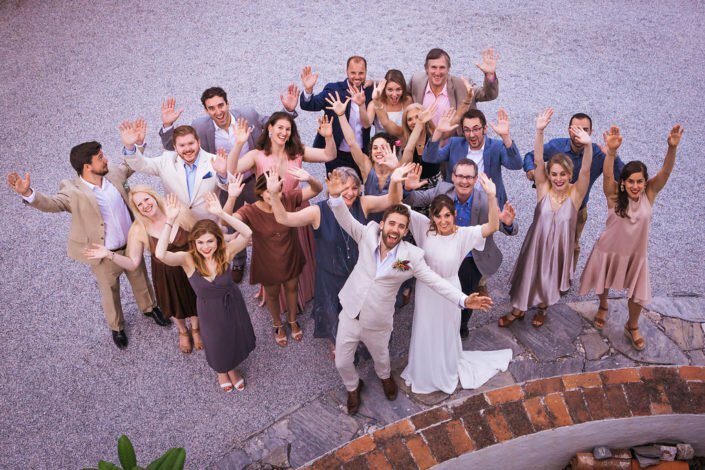 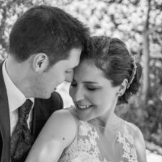 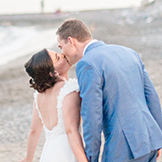 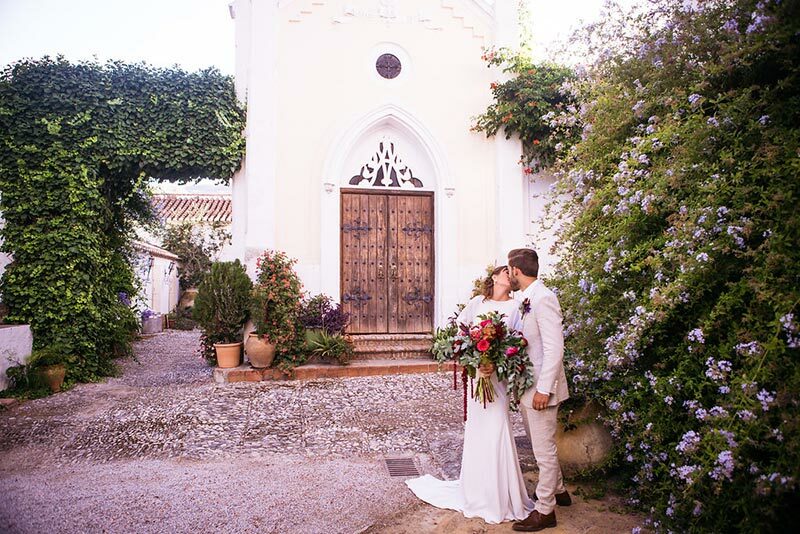 Kate and Camden arrived from USA with 20 guests to say “Yes I do” in a unique mansion dating back to 1492, located in the heart of the Spanish hinterland between the coast and Granada (the city of the Alhambra). 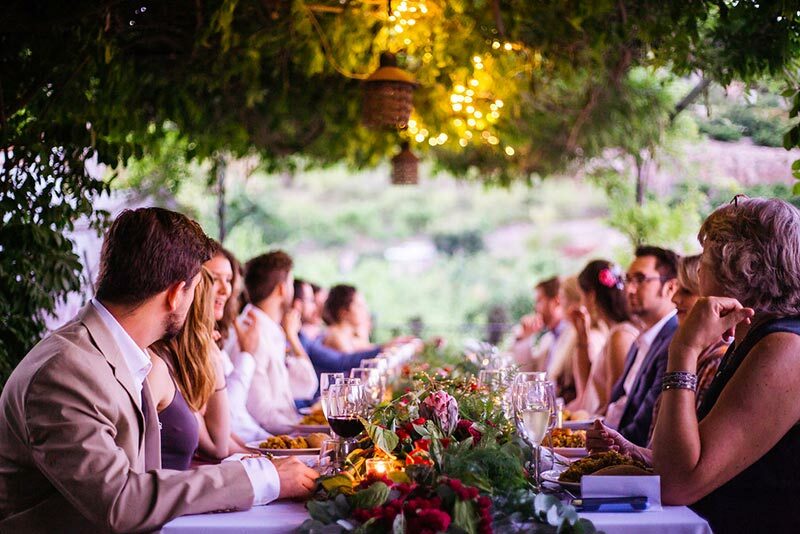 A magic venue with gardens, amazing views and a palace where the guests and the couple spent the weekend in laughs and meal on the terrace decorated with bougainvillea. 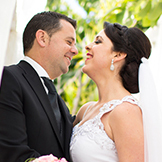 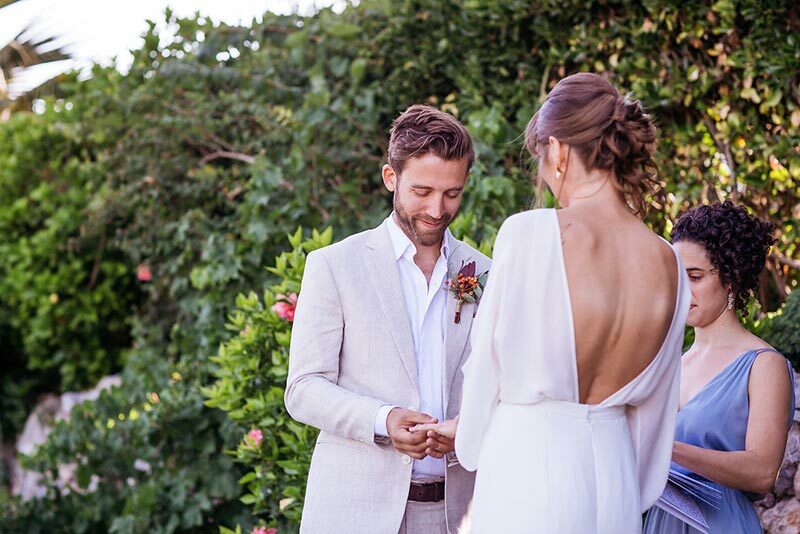 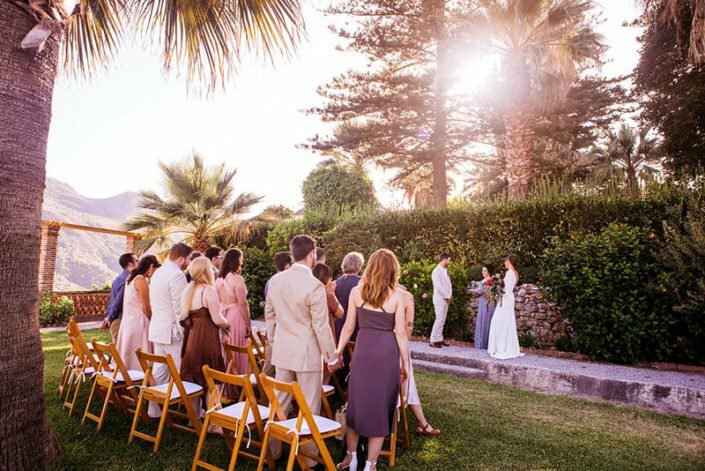 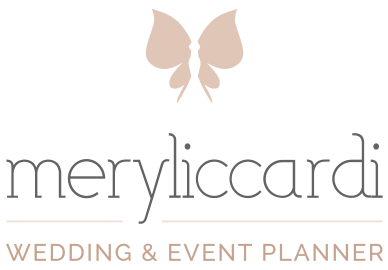 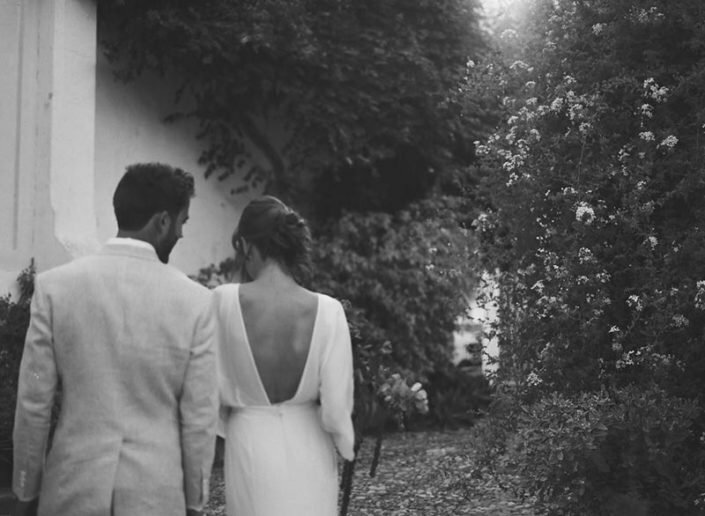 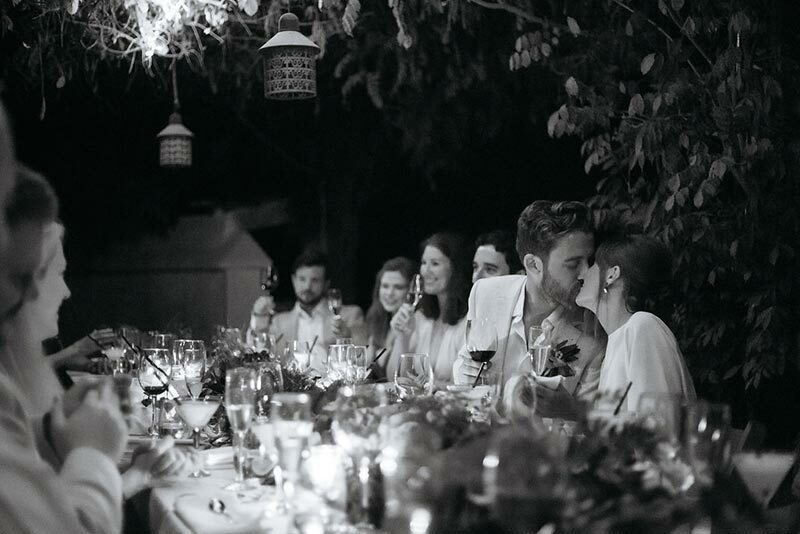 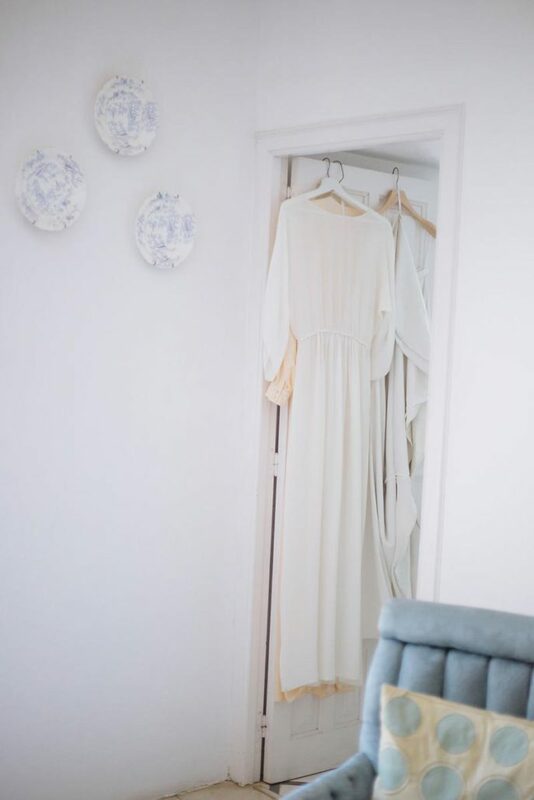 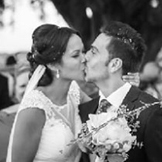 An exclusive location for a bohemian wedding with a touch of andalusian style. 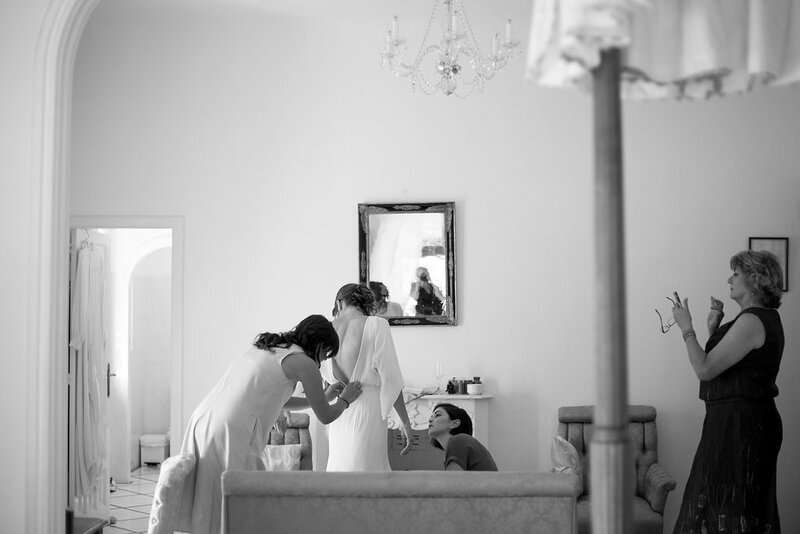 The bride gave off elegance and class in a simple dress that left her back bare. 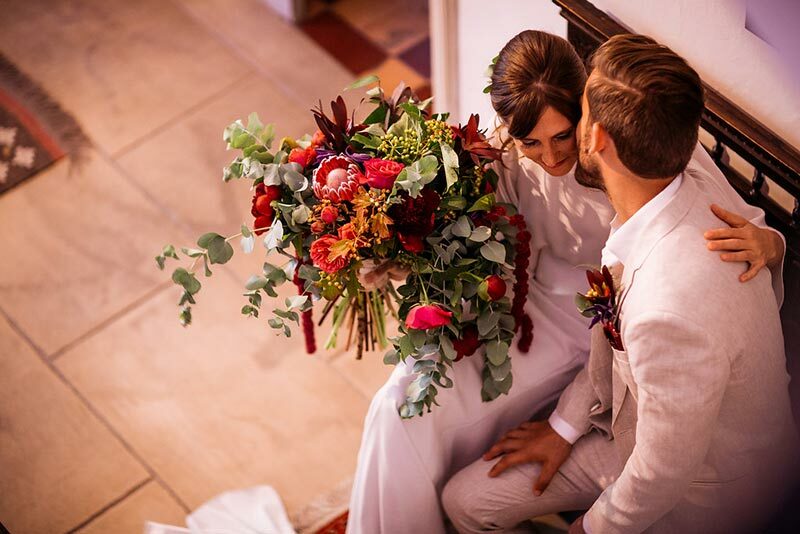 She chose an extra large bouquet in wine, fuchsia and green colors. 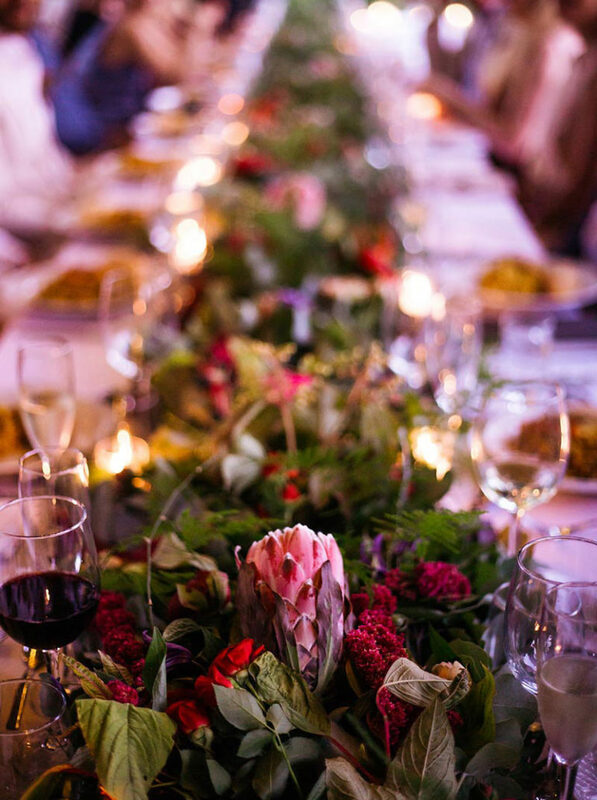 The same colors and flowers decorated the table with a garland made by Susana Sanchez. 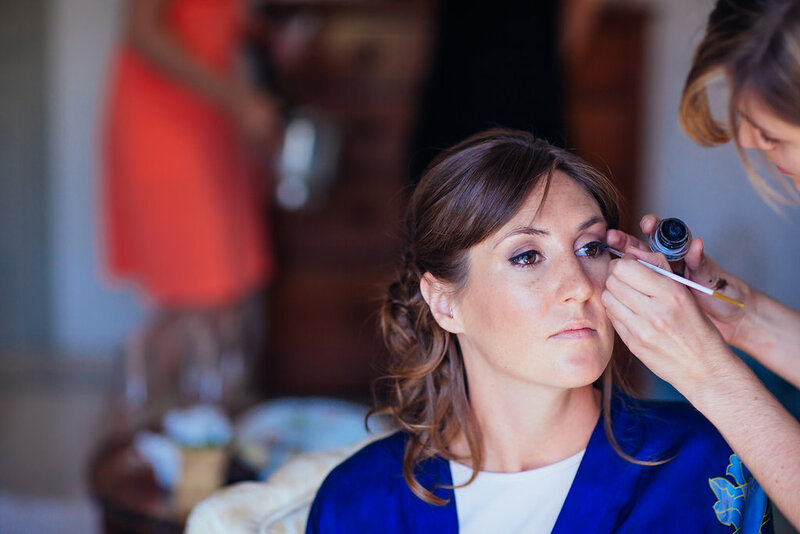 The hairstyle by BS Estilistas and makeup by Sophie Make Up were natural and simple but at the same time glamorous. 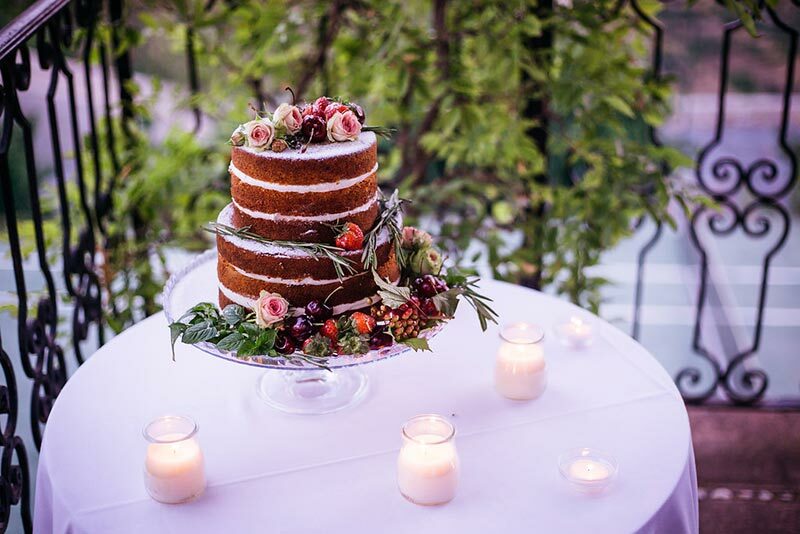 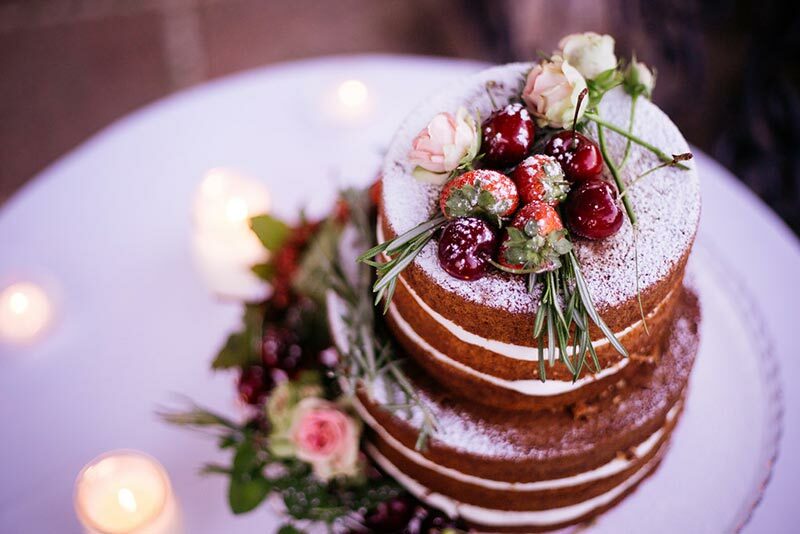 The couple chose a typical spanish food with paella and to finalize the dinner a naked cake by Velvet Granada. 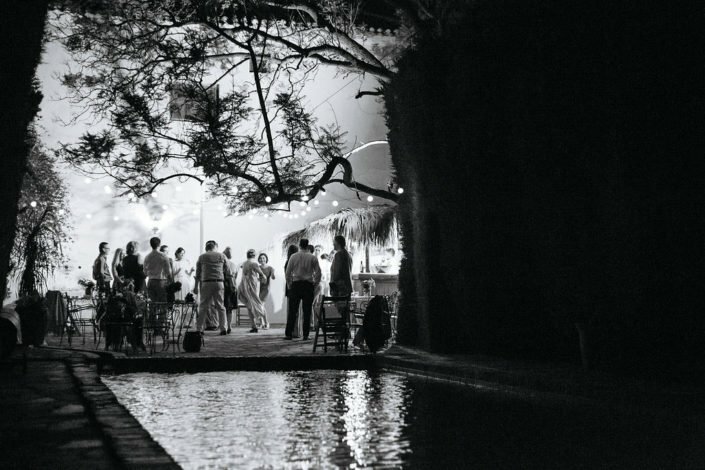 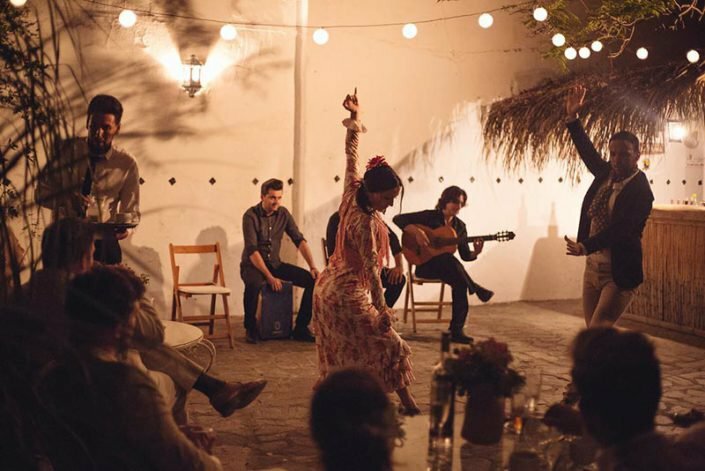 The wedding ended with a flamenco show and dancing under the moonlight.